Rockstar Games will distribute the first part of two stimulus package payments only once all of the bugs are taken care of. For many GTA Online players, the game has caused more chaos for them than they have had on the multiplayer world. Rockstar Games previously said to compensate for all of the frustration, it would deposit $250,000 in everyone's in-game bank account by the end of this week. The week is almost over, and Rockstar Games tweeted it would have information on the stimulus package payments soon. 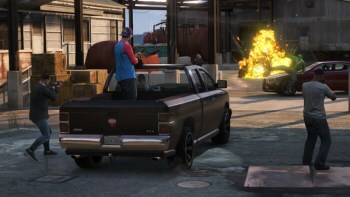 In comments on a Rockstar newswire post, the company wrote, "We thank you for your understanding and patience and please stay tuned this week for more information including timing of the first GTA$ Stimulus Package deposit and the forthcoming new content such as the Beach Bum Pack, Content Creator and Heists." The company also wrote later, "We just need to make sure any loss of game progress issues are totally fixed before we distribute the cash and we are working hard to do that." The latest title update addresses issues where vehicles disappeared. It also fixes issues of incorrect car replacements, exploits where players could sell one car multiple times, duplicated vehicles, inability to pay utility bills, and many others. Rockstar Games is still working on fixing a few remaining issues, but there would be little use in distributing the cash if there were possibilities of game glitches causing that cash to disappear.